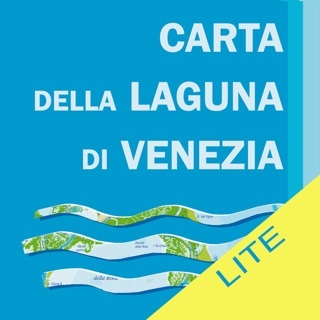 The first App of the Venice Lagoon cartography, produced by Mare di Carta publisher, based on the experience of the same map paper version, with scale 1:25.000, drawn up on the basis of the official data of the « Provveditorato Interregionale per le Opere Pubbliche di Veneto Trentino Alto Adige Friuli Venezia Giulia » that,for over 500 years, takes care of and works on the Lagoon of Venice, under the name of Magistrato alle Acque. 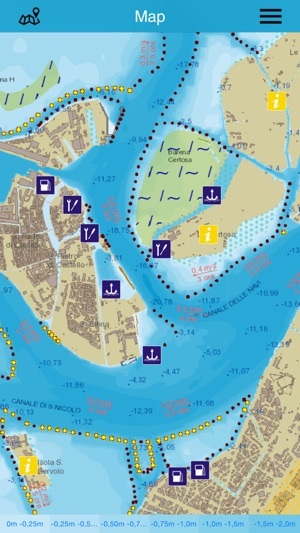 Provided with marinas, harbours, gas stations and other practical informations, the App offers the sailor a practical speedometer displaying the allowed maximum speed in the canal that is being navigated and the name of the canal itself. The App shows as well when the maximum speed is exceeded. Fot those using public transport, the App shows the water-bus stops, providing informations on timetables of next arriving boats at each stop. 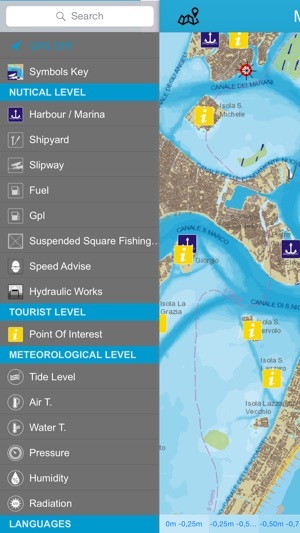 For all kinds of visitors, the App offers historical and environmental informations, island by island, for a better visit and comprehension of the today lagoon, including changes due to the restoration and safeguard works. Also available, in real time, the data on the tide, temperature and other environmental informations. 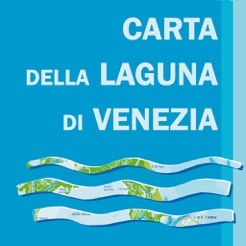 “ Map of the Lagoon ” is therefore an essential instrument to get to know the venetian lagoon, with a visitor'sguide function as well as a practical informations' container for those who already know the lagoon and are grateful to be able to find in one only application so many overlapping informations. Excellent app. 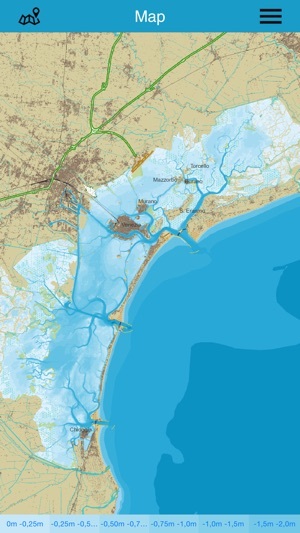 Highly detailed bathymetry. If you are going to anchor out or to explore the canals outside the city center, this is the app to have. More coverage and detail than Navionics, TZ MaxSea, and Plan2Nav (C-Map). Only Garmin Bluechart could compete in detail/coverage, but we relied more on this "Carta" App (with great results in tight spots) because it is local.